After watching a prank video, two Norfolk teens locked themselves in a store and built a fort out of toilet paper, police say. Norfolk OPP were called to investigate the incident at a Simcoe store on Queensway East last Tuesday. 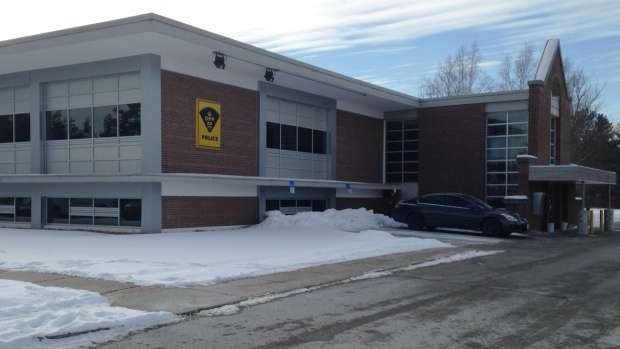 Officers arrived about 4:30 a.m. after employees located a male and female in the washroom. Police determined a 13-year-old girl and a 16-year-old boy went to the store on Monday about 8 p.m. In an aisle at the store, police say they built their fort after they watched a video of youths hiding in a store overnight. They then returned on Tuesday and entered the fort and subsequently fell asleep after the store closed, OPP say. Both woke up early and realized that workers were restocking the shelves and ran to a bathroom located in the building. Officers arrived on scene and located both youths and police say they were remorseful. The teens were taken home to their parents and no charges were laid at the request of the store.